Tomorrow we fly for home and another wedding, NTS’s sister’s. I’m well pleased with this development, as I find the groom an excellent young man, and am delighted that we will be keeping him, so to speak. I’m also delighted to be seeing all of our friends and family again, especially now that (as of half an hour ago) all of the arrangements are finally made. Coordinating a family gathering from a different continent when not in possession of a house, car or cell phone is not easy, but it’s done now. Mostly perforce: If you can’t reach me to tell me about it, the problem doesn’t exist. BRID Looks like it’s going to be eighteen degrees tomorrow. NTS Sooo hooottttt. Oh wait, that’s only 64 Fahrenheit. Never mind. BRID Wow, you’ve really gone native. Let me check your ears, I think there may be haggis leaking out of them. If the natives are leery of temperatures over 20 C, it’s no surprise: the record high in Edinburgh is 31.4 C (88.5 F). The average high for August is just 18.9 C (66 F). I grudgingly dug into the back of my wardrobe for my two skimpiest tank tops, saved specially for this occasion. That is, the occasion of summer. I shall not so much melt as burn to a fiery crisp, sunscreen notwithstanding. It was in a bone-melting August that I first packed for Scotland, with the result that my arrival in . Now, in the cool and breezy summer of Scotland, I dig into my memories of that time and root in the wardrobe for the clothes that I mistakenly packed then, that get so little use here and are so appropriate to summer in (southern) New England. I shall, no doubt, complain of the heat within the first hour, but at the moment it remains an interesting concept, a distant and hazy memory of another life. Although the haziness may have been caused by humidity, not time. The basil has now had its first pruning, according to the gospel of plants. Apparently, the trick is not to pick the big green ones at the bottom and leave the little ones to grow longer, but to leave the first pair of big leaves as photosynthesis factories and cut the stem of right above them to encourage new growth. If this works, it will be good news indeed. 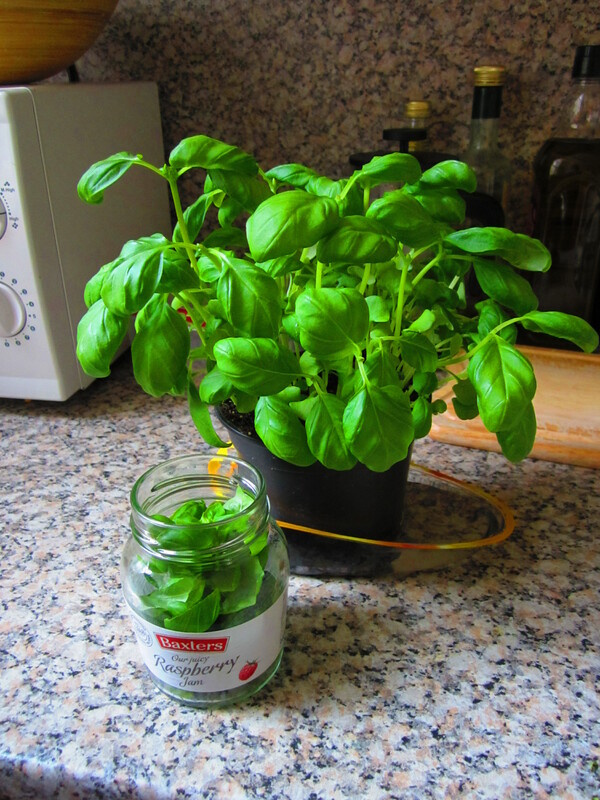 For now, I have a jar full of delicious fresh basil. We are brainstorming ideas to use it; I’m leaning toward bruschetta. There’s not really enough for pesto. 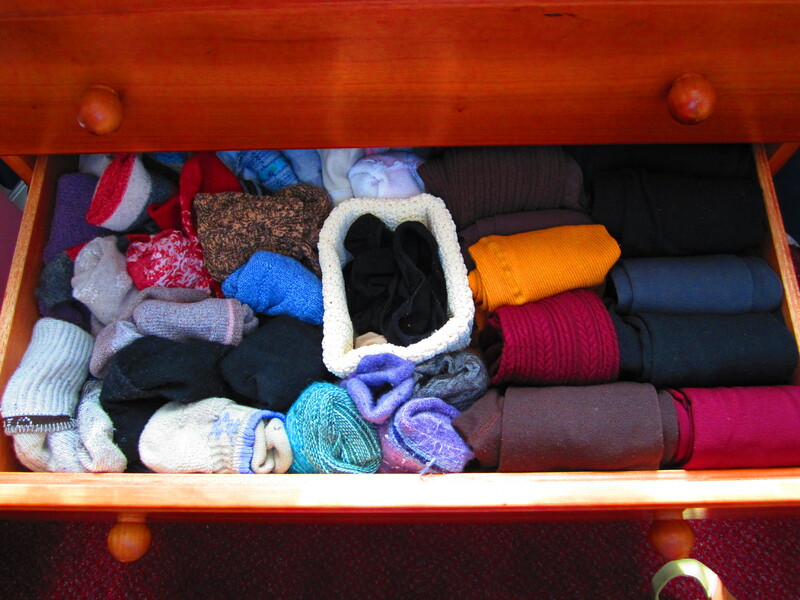 After seeing several variations on the theme on Pinterest, I rearranged my drawers to hold stockings, scarves, leggings, running shorts, etc. It looks surprisingly tidy. Things I used less often were relegated to hanging shoe holders in the closet. Most of them were not shoes. 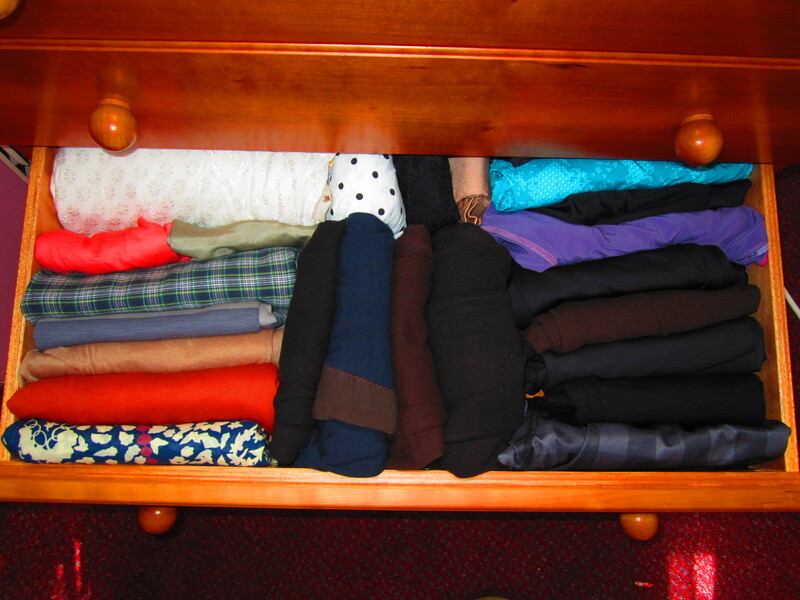 The dressers have extremely shallow drawers, so the clothes are folded or rolled to a depth of about 4″. This is particularly handy for the running and bike shorts, which have almost no mass or friction and kept toppling the piles on the closet shelves. The socks can fend for themselves. On one side, regimented rows; on the other, anarchy. My white board is cooler than your white board. And wipes off more easily. Glass is slippery stuff. 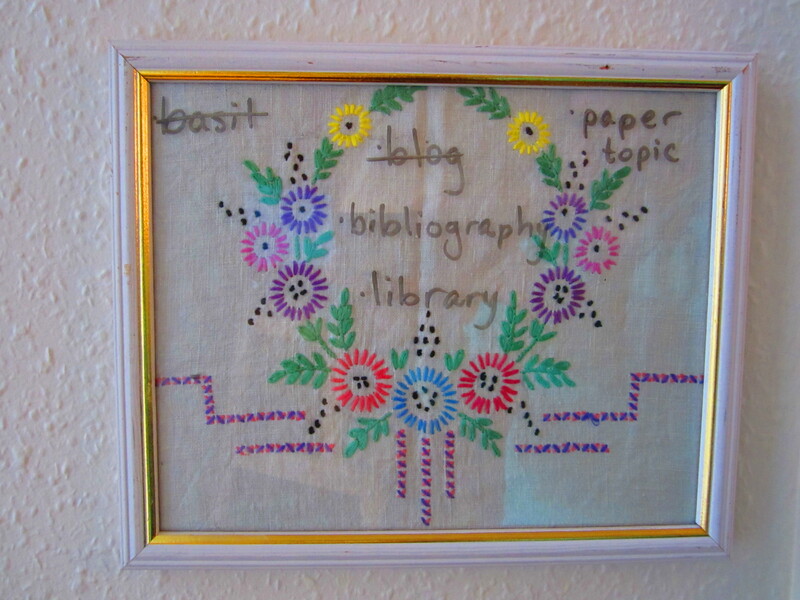 The embroidery is vintage linen and used to be a tea cozy for a teapot the size of the Titanic. I couldn’t bring myself to cut up any of the larger pieces of vintage embroidery. Even if I did only pay 50p for them, someone put a lot of work in. But someday I will display them all properly. Beginning with this one. As for Boston, there is too much to say, and too little. Be safe, everyone. Remember that while some people are stupid and twisted, more are amazing and inspiring and loving. Remember those people. Remember when you were a kid, looking through old boxes of photos? The fingertips that blocked half of the shot (remember when the lens was separate from the view finder? ), the grainy texture, the random people whose names you can’t remember with bad eighties/nineties haircuts? In a much less entertaining version of this time-honoured activity, I was hunting through the photos on my external hard drive. (It’s lacking a certain something in the way of Romance, I know.) I came across this little gem. You just know that if they go in, one of those little figures isn’t going to come back out. Appropriately enough, it was taken on Halloween several years ago. I should hold off on it until Halloween, but scheduling a post ten months in advance is just sick. Some people behind me are comparing commutes, and I realise it–this is the last time I will have this horrid commute. I am frightened and elated all at once. I cleared out my desk today, I hope I didn’t leave anything stupid. I am in a mood to slough off all extra weight. I had thought to bring away the keyboard drawer that I bought myself, at no little cost, to make my desk at all ergonomic, but at the thought of carrying it and storing it for four years, only to maybe never need it again, I rebelled. Tonight I attack the rest of my things. Tomorrow we will take them to my friend’s attic. (I have the best friends.) Nothing that doesn’t fly may remain. Cast off ballast! Prepare to sail! I’m so pleased with my morning’s work that I have to pass on the unprecedented news. I had a perfectly streamlined and, dare I say, pleasant experience at the DMV this morning. There, I said it. I showed up to the DMV right at opening time, 10am, only to be dismayed by a line that stretched literally* halfway down the block. Well, I thought, you’ve done it now. Might as well get it over with, no matter how long it takes. And the teeny little voice in the back of my head–the one that, earlier this week, demanded I read my passport documents not twice, but four times, in the post office before mailing them–pleaded, _please, please don’t let me have forgotten anything. Imagine my surprise and delight at seeing this lengthy line move forward in a rapid and orderly fashion. Upstairs, the queue numbers flashed on the screen so rapidly the automated voice (a very good robotic rendering) was hard pressed to keep up. The attendant was friendly, congratulated me on my nuptials, and kept up a pleasant but undemanding stream of conversation while she efficiently processed my papers. And so, let me be the first person you have probably ever seen to congratulate the DMV on a pleasant experience. Credit where credit is due, and all that. More on the name change itself at a later date. Marital independence gets its own post. * You know I would never take that word in vain. I just rode my bicycle in to work for the first time. 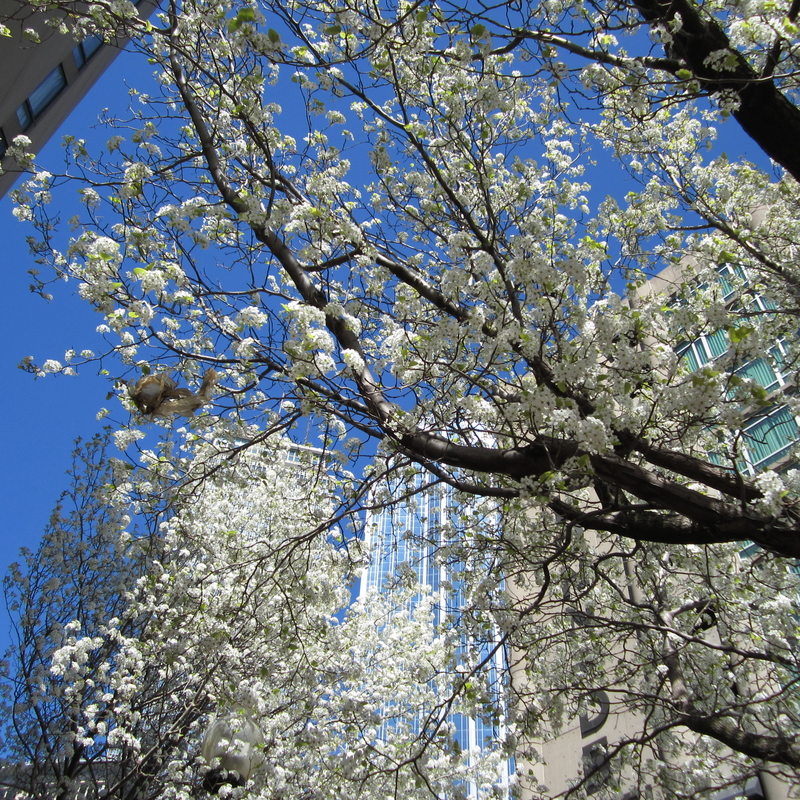 The parts along the Esplanade were beautiful. The Bay Bay was less beautiful. I did run into one or two small difficulties. 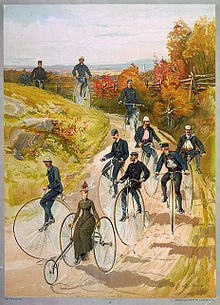 That is the perfect cycle for a lady in the country. I also kept having to stop every couple of blocks to view the teeny-tiny letters on my Google map to check where to turn. This difficulty will be obviated in a few trips, though. I thought about bringing my GPS, but on car trips, I’ve noticed that while it will get you there, it may not get you there the best or most efficient way, no matter what settings you apply. I just trust Google more. And I will say, Google kept me mostly on bike paths (as I said, lovely), quiet residential streets, and bike lanes. I’ve got a set of 4 outdoor steak thermometers from Cuisinart for the person that sends me the best picture of the denizens of the anime convention. My first intimation that today was going to be interesting was seeing a lady dressed in black with a white-boned external corset cross the street up ahead. “Aha!” I thought. Today is Anime Boston. Today is going to be good. ALSO- make sure not to get any chocolate on your costumes for the Anime Convention. There’s no magic spell to get a chocolate stain out of velvet. I have a good bird’s-eye view of the main path from the T (underground) station to the hotel, so more reports as people appear. My co-worker just asked me, quite seriously, whether I’m going to PAX or the Anime Boston this weekend. I said neither (anime and gaming are not my fandoms), but I’m going to spend my lunch break Friday camped out in the lobby of the hotel to do some people/animal/tentacle watching.